The Adventures of Shifting Jack is a nice read for young kids around 9-10 years old I think, who love a bit of adventure and mystery surrounding young Jack and his little sister Lilly. I enjoyed the characters in this book and the ending was nice as well. The story itself follows Jack as he starts a new school with his little sister Lilly. He has a very close bond with her and can feel when she’s happy, sad, hurt. He finds himself going to her rescue a few times in the story. 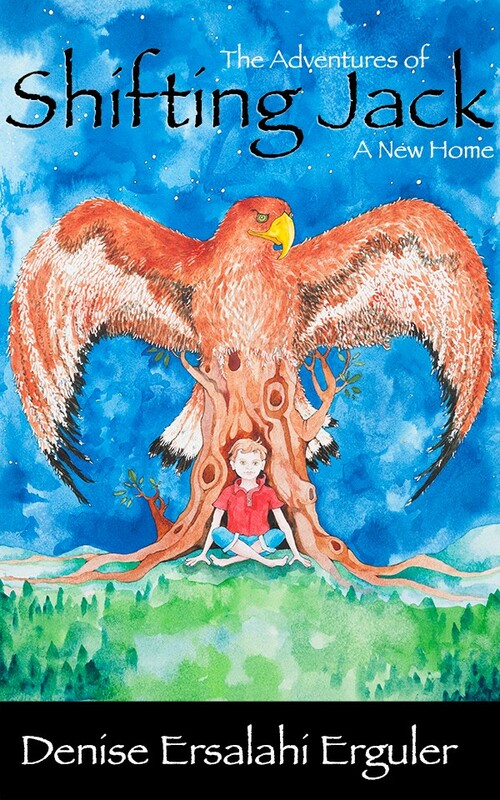 Later, he find out about his families prophecy and how it has already started to affect him as he changes between a human and a bird something his mother and father has tried to protect him from. Now he has to use his new-found power for good and discover the part of him his parents have sheltered him from. Does he? Or will he end up in huge trouble? Read this story to find out. I also liked that in the book the Denise touched upon his father not being his real dad, but he would always be his dad no matter about blood relation. I thought it was a nice idea to approach the subjected and was handle well in the story but also a lot for a nine year old to accept. I loved how close Jack was to his sister Lilly and their relationship throughout. I would recommend this book if you like stories with adventure, shape shifting and love for family at the heart of it. You can grab a copy of this book on Amazon. ← Love In Little Snow Audiobook giveaway.